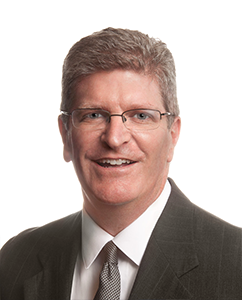 Steven P. Murphy is a Partner at Fusaro, Altomare & Ermilio in the Commercial Real Estate, Corporate and Business Planning practice areas. He joined the firm in 2001. Mr. Murphy’s practices areas include landlord and tenant representation in complex commercial leasing, commercial and residential real estate, managing commercial real estate, condominium conversion, commercial foreclosures and work-outs, zoning and advising businesses from single member limited liability companies to large corporations, banking institutions and non-profits. Further, Mr. Murphy has been selected by multiple clients to serve in the capacity as trustee to advise and manage client’s real estate portfolios and other assets for future distribution to heirs and devisees. Mr. Murphy is a graduate of Boston College where he received his B.A. in 1988. He then earned his J.D. from the New England School of Law in 1993. He is admitted to the Bar in Massachusetts. Mr. Murphy is a member of the Massachusetts Bar Association and the Massachusetts Conveyancers’ Association. He was a contributing author to the Newcomers Legal Guide to Massachusetts: Resource Materials for the Community published by the Massachusetts Bar Institute. An advocate for community involvement, Mr. Murphy is a long standing member of the Zoning Board of Appeals in the Town of Berlin where often acts as chairman and where he authors many of the board’s decisions on behalf of the town. He formerly served as Pro-Bono Coordinator under grants from the Boston and Massachusetts Bar Foundation for the Tri-City Community Action Program, he was a member of the Board of Directors for Elliot Human Services in Lexington, MA and is the former head coach of the boy’s 7th and 8th grade basketball teams at Saint Bernadette’s School in Northborough, Massachusetts.